The annual South by Southwest (SXSW) Music Festival is one of the largest musical events Austin has to offer. Taking place March 7 - 16 2014, SXSW features artists from around the world ranging from underground and local acts to more well known mainstream artists. Apple has jumped on the SXSW bandwagon, announcing today that they will be hosting their iTunes Music Festival March 11 - 15th at the ACL Live Moody Theater (home of Austin City Limits). The iTunes Festival will feature chart toppers like Coldplay, Imagine Dragons, Keith Urban, Zedd, and Pit Bull. The second and third day of the festival (March 12th and 13th) have yet to be announced, but one can only imagine they are going to book some amazing acts. All five nights of the fest will be available to enjoy for free on iTunes via a live stream, accessible from any device that supports the program (including iPhone, iPad, iPod, Mac or PC). Apple currently holds an iTunes festival in London, with over 400 artists having performed in front of more than 430,000 fans and millions more online. Customers can purchase and download audio of these concerts through the iTunes store. 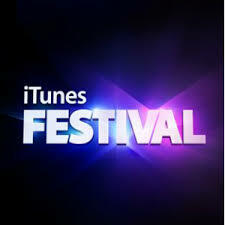 For more information about the lineup of these iTunes festivals, visit www.itunes.com/festival.